Elgood’s Coolship Sour Ale at 5% ABV. Brewed using traditional methods & original brewing equipment. Spontaneous fermentation is initiated on our unique double coolships. This unique English style sour beer, brewed in the artisanal manner at North Brink Brewery has been blended with Mango for a tropical touch. The beer is bright golden in colour with a sparkling finish. 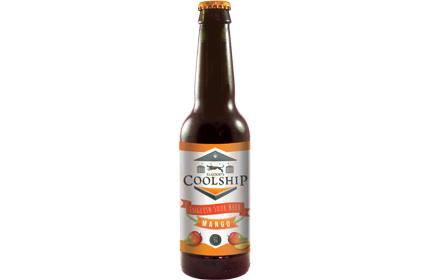 The tropical fruit flavour is off-set by the smooth sourness of the Coolship Ale, resulting in a refreshing and satisfying drink.